Bohemian Rhapsody itself will retain the nomination, as well as six others in craft and acting categories. The British Academy of Film and Television Arts has removed Bryan Singer's name from the Bohemian Rhapsody nomination for outstanding British film due to "recent very serious allegations" of sexual misconduct against the director. The film itself will retain the nomination, as well as six others in craft and acting categories. "BAFTA considers the alleged behaviour completely unacceptable and incompatible with its values," the academy wrote in a statement Wednesday, four days before its award ceremony. "This has led to Mr Singer's suspended nomination. BAFTA notes Mr Singer's denial of the allegations. The suspension of his nomination will therefore remain in place until the outcome of the allegations has been resolved." BAFTA's decision comes almost two weeks after GLAAD deemed the Queen biopic ineligible for its outstanding film category in response to the allegations against Bryan Singer that were published last month by The Atlantic. The roughly 9,000-word article detailed graphic accounts of four people who said Bryan Singer sexually assaulted them when they were underage. Bryan Singer denied the allegations and responded at the time with a statement that called the article a "homophobic smear piece," an assertion the Gay And Lesbian Alliance Against Defamation called out in announcing the film's ineligibility. Bohemian Rhapsody earned five Oscar nominations last month, including best picture. Unlike BAFTA, however, the Academy of Motion Picture Arts and Sciences awards best picture only to the film's producers - in this case, Graham King. King and screenwriter Anthony McCarten's names remain on the BAFTA nomination. 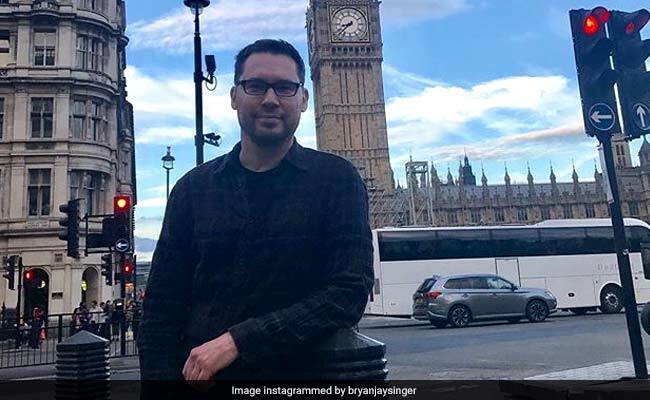 Neither one, nor Bryan Singer, has responded to The Washington Post's request for comment on the director's suspension. The film's rocky awards season follows a chaotic production process that began in 2010. Queen guitarist Brian May announced plans for the movie that year, when shooting was for to begin in 2012 with comedian Sacha Baron Cohen as frontman Freddie Mercury. Cohen left the project in 2013 over creative differences, and British actor Ben Whishaw stepped in to replace him. He also left. In 2016, Rami Malek was confirmed for the lead role, with Bryan Singer attached to direct. Twentieth Century Fox fired Bryan Singer a few weeks before the end of Bohemian Rhapsody's production, citing what it called unreliable behavior. The Hollywood Reporter pointed to his prolonged absences from set and tension with Rami Malek as the reason, though Bryan Singer denied the latter and said he was caring for an ill family member. While Bryan Singer retained the credit, Dexter Fletcher, whose name had been attached to the project when Whishaw's was, took over the remaining directing duties. Rami Malek has picked up trophies for his performance in the film, including a Golden Globe. But he has also been criticized for staying relatively quiet about the allegations against Singer. After receiving a best-actor Oscar nomination, he told the Los Angeles Times that he "was not aware of" Bryan Singer's history of sexual misconduct allegations before signing on to the project. As pressure to comment on the allegations grew, Rami Malek spoke more candidly last week during a panel at the Santa Barbara Film Festival. "My heart goes out to anyone who has to live through anything like what I've heard and what is out there," Rami Malek said, according to The Hollywood Reporter. "It's awful. It's remarkable that this happens. I can appreciate so much what they've been through and how difficult this must be for them. In the light of the #MeToo era that this somehow seems to exist after that. It's a horrible thing." He continued: "In my situation with Bryan, it was not pleasant, not at all. And that's about what I can say about it at this point. For anyone who is seeking any solace in all of this, Bryan Singer was fired. Bryan Bryan Singer was fired. I don't think that was something anyone saw coming, but I think that had to happen, and it did." Rami Malek received a BAFTA nomination for his performance in Bohemian Rhapsody, which was also honored in the makeup and hair, cinematography, editing, sound, and costume design categories. The awards ceremony is scheduled for Sunday night at the Royal Albert Hall in London.